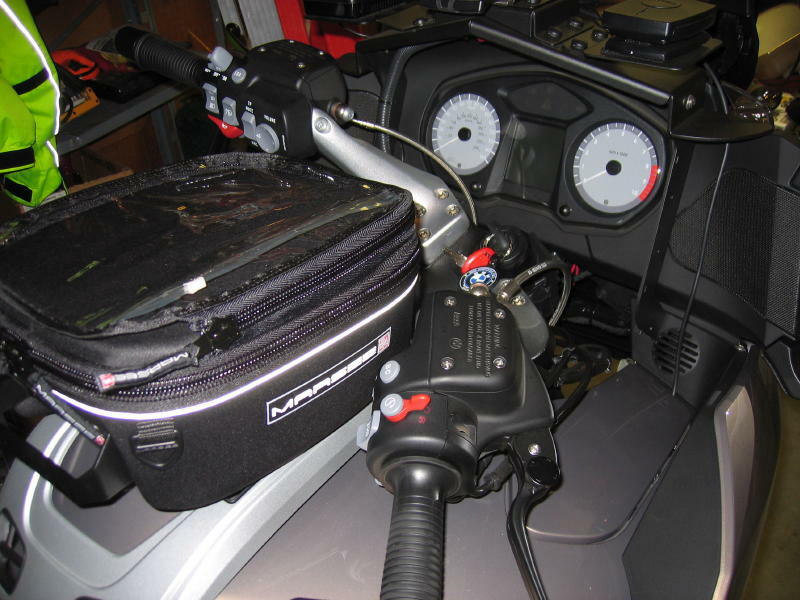 BMW Luxury Touring Community > BMW Bikes > RT Series > Marsee Corona Mount Tank Bag on R1200RT? Marsee Corona Mount Tank Bag on R1200RT? 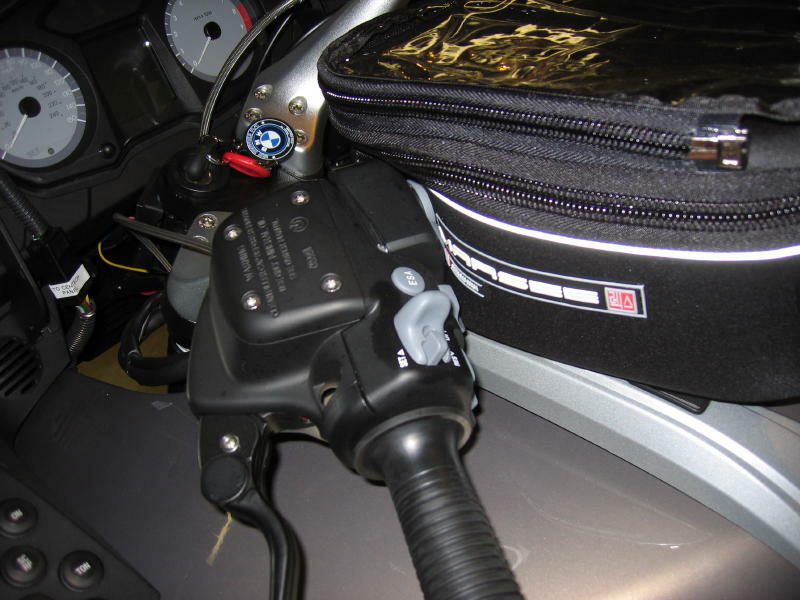 Anyone using a Marsee tank bag with BMW Corona mount on their R1200RT? I really like these bags and the design of the corona mount; I just don't know if it will "clear" the tank rails enough to fully engage. Ordered the Ciao Borsa bag with this mount, if nobody has used it I will report back after I get it. 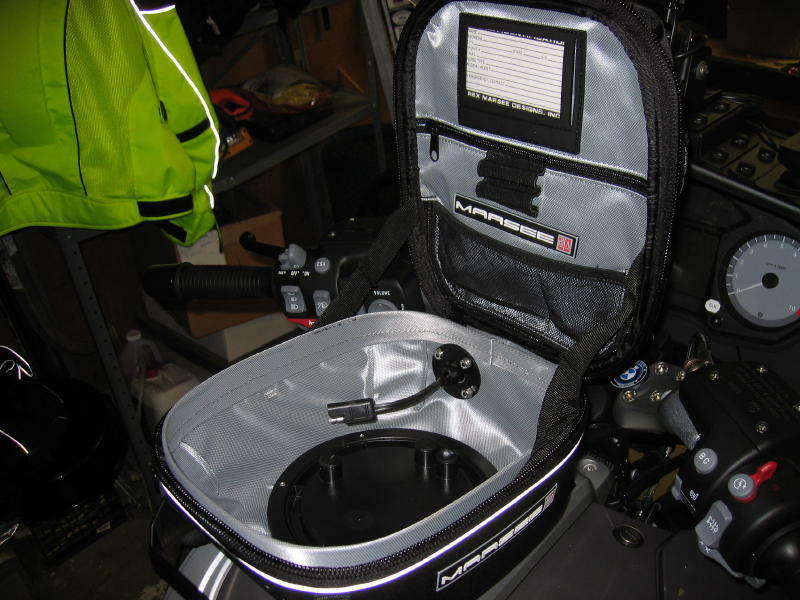 Re: Marsee Corona Mount Tank Bag on R1200RT? FYI I installed this bag today. I am very happy with the bag (I got the Ciao Borsa model, a small 6L bag for day trip essentials) and especially with the quick-disconnect Corona attachment system. I may get a larger bag as well, which would use the same mount. Install was totally painless. 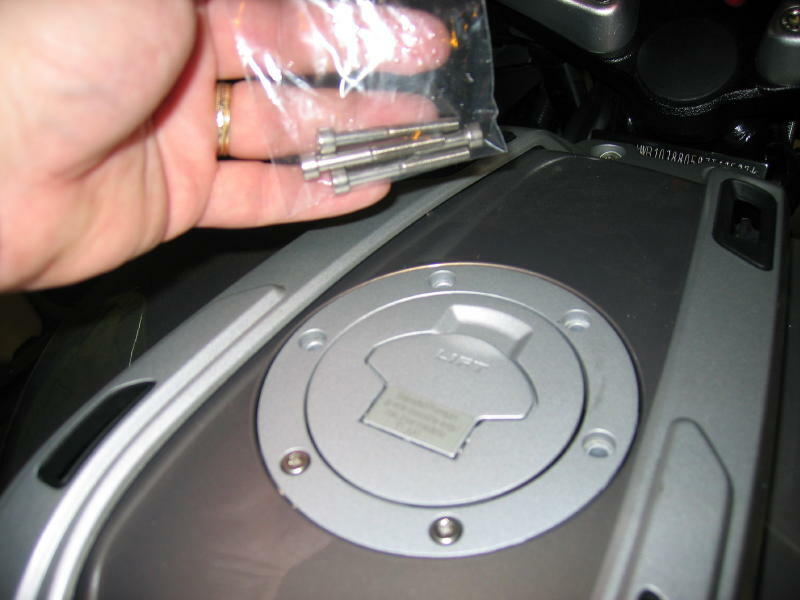 Remove the 4 gas cap screws closest to the front of the bike, and install the Corona tank ring using the 4 longer screws provided (retain originals of course). Took about 2 mins start to finish. Once the ring is mounted, to attach the bag you place it over the ring at about 10 o'clock, and (with a bit of force) rotate it into position. 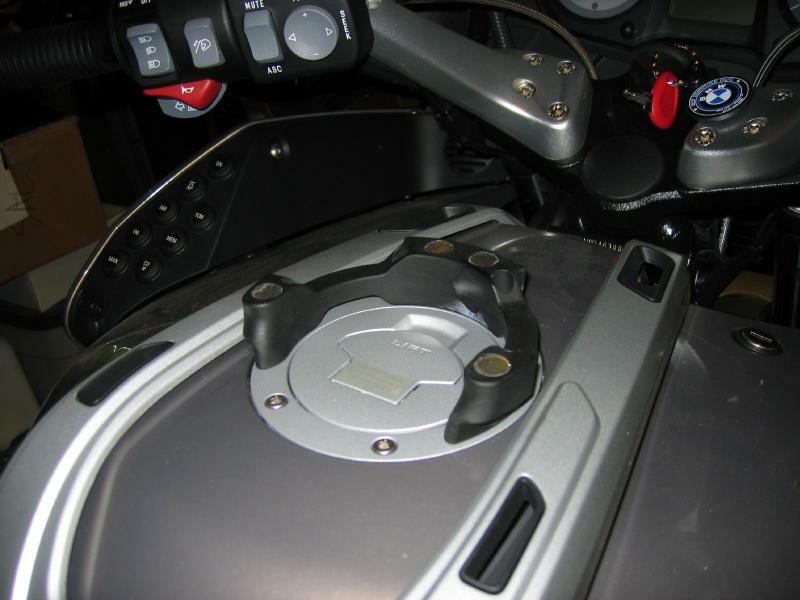 Powerful magnets keep the bag in place, and in the case of the R1200RT, some friction against the silver tank rails as well. No modifications are necessary. 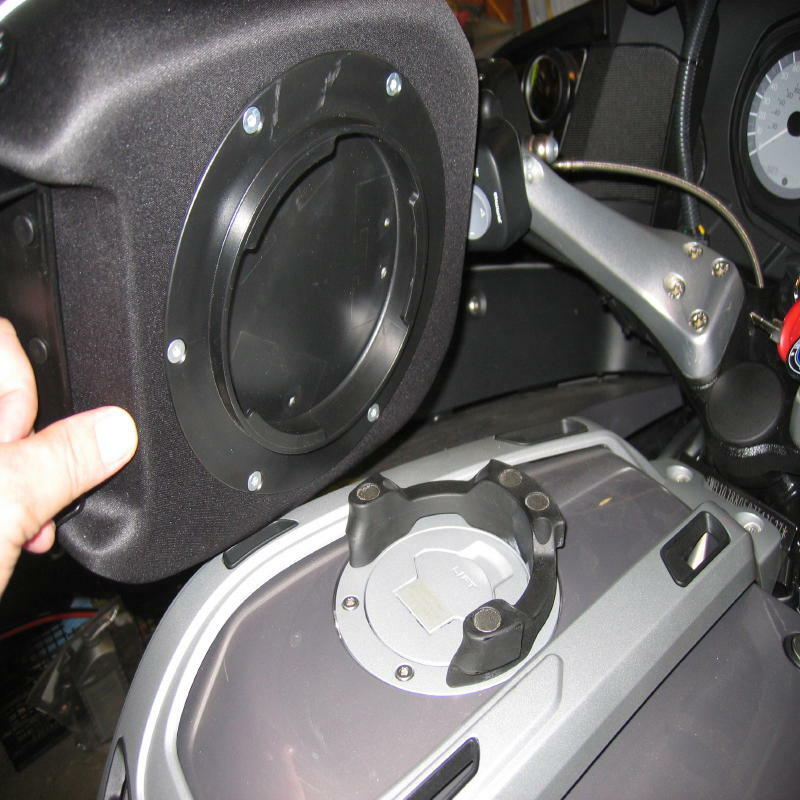 On my bike, since I have the radio there is some interference with the radio control at extreme left lock. It contacts a soft area of the bag, so unless you have it packed tightly with hard items I don't see a problem. Extreme right lock offers no interference at all, I expect the same would be true for a bike without the factory stereo system. All in all a very nicely made, solid and good-looking tank bag, and it meets 100% my desire for a high quality, fast-on fast-off bag at a more manageable size than the factory bag. Some pics below for reference. North Woods Wanderer likes this. Looks good, and Marsee stuff is usually pretty well made. But it looks like you have to remove the bag to fill up, not just tilt it aside. Is that right? Correct. You would need to twist off the bag to fill up, then twist back on when done. What is the price on that bag? I see you have electrical running into the bag what is that for? Nice write up, great info! The price on the Rex Marsee Designs web site(http://marseeproducts.homestead.com) is $215 for the 6L Ciao Borsa bag I got, with the BMW Corona mount. 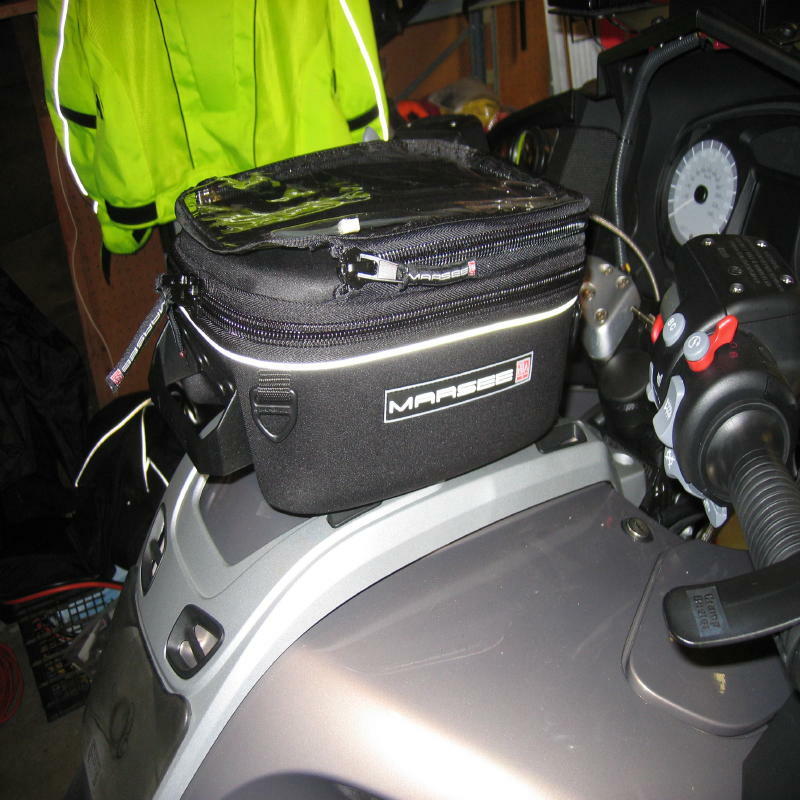 I also opted to add the PowerMate kit for another $32, which they installed in the bag for me. 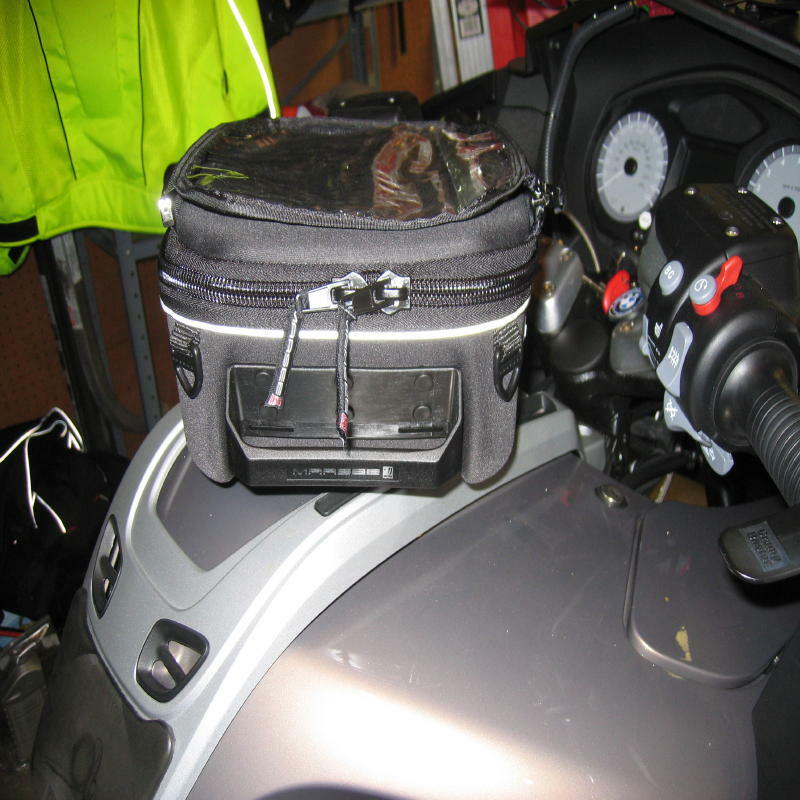 The PowerMate kit is essentially a passthru SAE power connector which you can use to bring power into the bag for an iPod, cell phone charger etc. So… 10 years later, how did that bag hold up? Would you get it again?